If you've entered two of these contests already and you're still naked from the waist up, here's your last chance. As before, we're giving away ten obviously-fanboyish shirts. 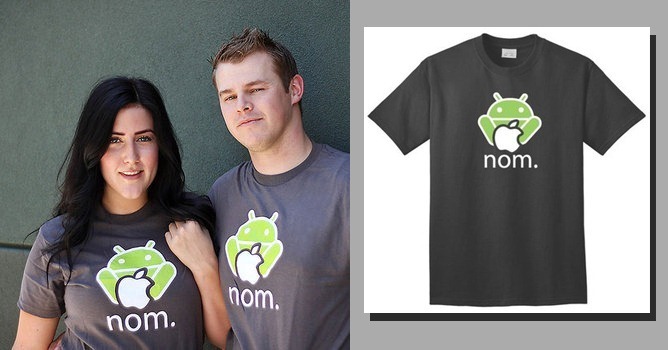 Today's is the widely-loved Nom shirt. 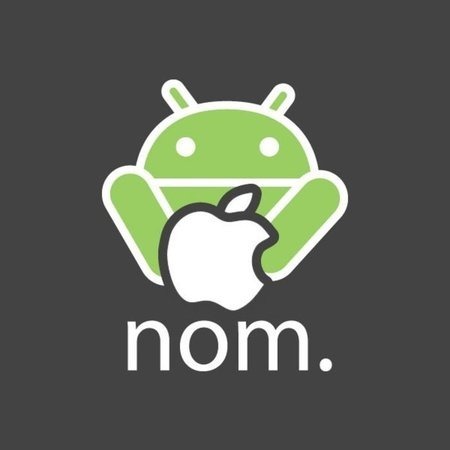 If you're just too famished and need those noms right now, you can use coupon code "ANDROIDPOLICE" (no quotes) to get this shirt for $7.99, or five bucks off. You guys know how this works, don't you? To enter, head to the comments and tell us something your Android device lets you do that you couldn't live without. Just be sure to keep it civil. These arguments can be fun, but rudeness can disqualify you. Also, this contest is for U.S. residents only. Sorry to those of you across the pond/border! The giveaway begins immediately and ends tonight, April 18th, 2012 at 11:59 PM PST. After that, we'll randomly pick the ten winners and notify you that you're getting some free swag. If your stomach is rumbling already, you can use the coupon code to get the discount for today only. The coupon code expires at 11:59 PM PST today, so don't waste any more time. I mean, I already told you about the coupon code three paragraphs ago. What are you waiting for?